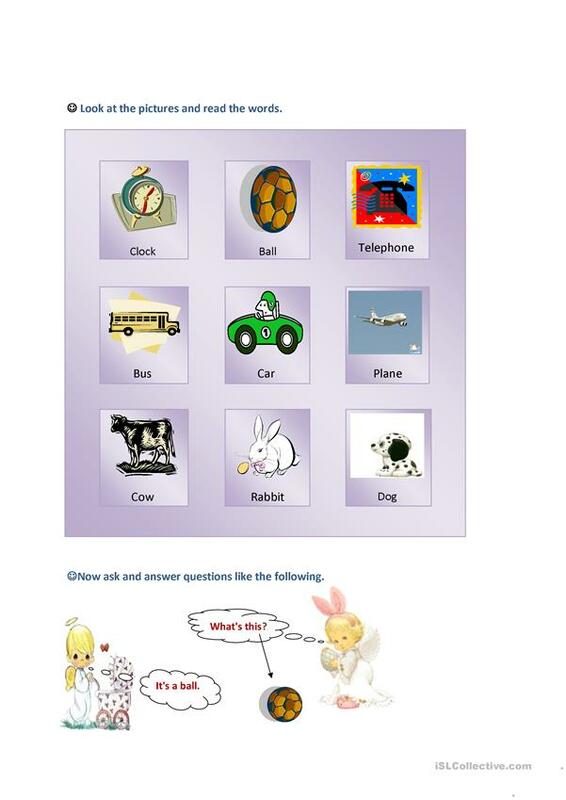 A work sheet helps practice asking and answering the question ''what's this? '' for ESL learners. The above printable, downloadable handout is meant for elementary school students at Beginner (pre-A1) level. It is great for teaching Auxiliary verbs in English, and is a valuable material for strengthening your class' Speaking skills.